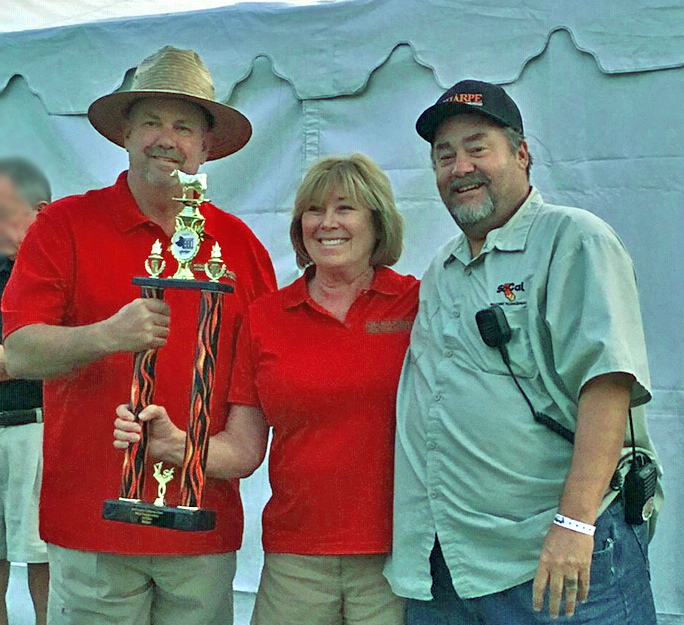 teams from other states were chasing KCBS TOY points in one of the last two contests of the year. 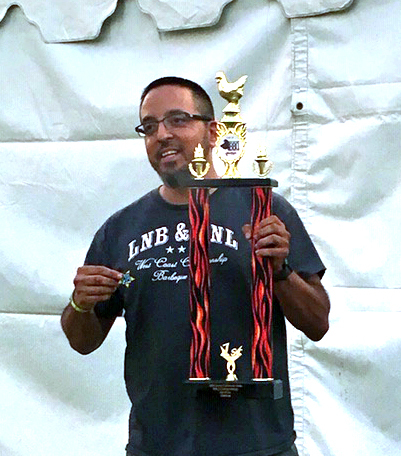 “Teams asked for a double”, said contest coordinator Robert Stouffer. “ It’s more expensive, but you have a better chance of getting those extra points to put you over the top.” The only thing teams were wishing they had brought were their putters as the contest took place on the 7th hole of the award-winning Indian Springs Golf Course. To add to the festival-like atmosphere an antique car auction was taking place at the same time. As 33 teams were getting their boxes ready for turn in, Rolls Royces, Bentleys, and Maseratis lumbered past on their way to the auctioneer’s block. An estimated 3,000 people attended the 3-day event which included concerts and car shows. Teams were treated to all of this and a $9,600 purse for each of the days. 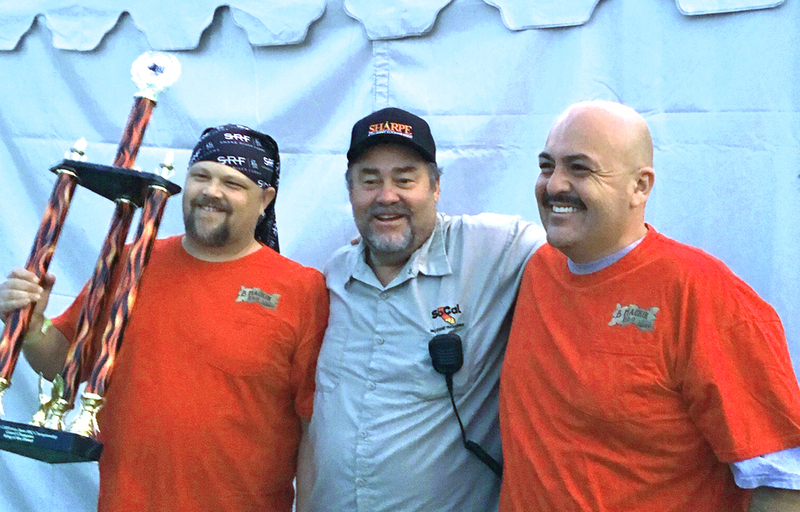 Saturday’s Grand Champion was Gettin’ Basted with a score of 706.8228 followed closely by Boomerang BBQ with a score of 702.2284. 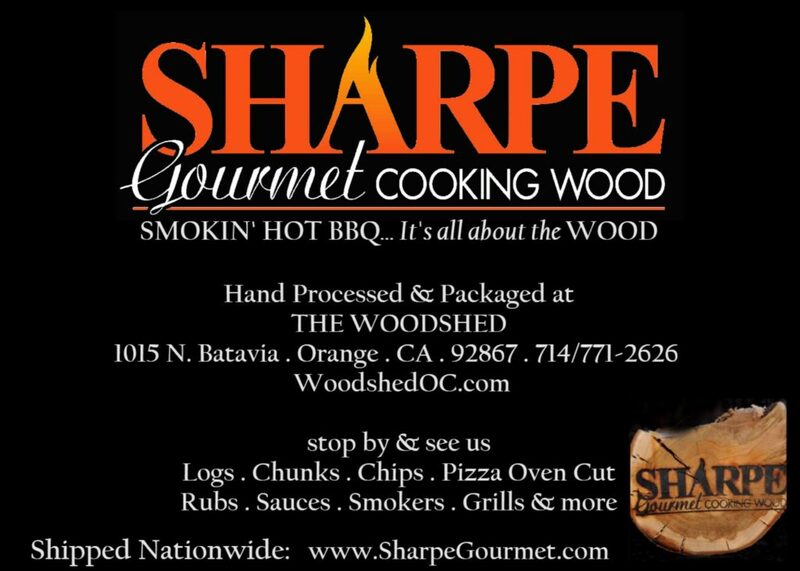 Both Getting’ Basted and Big Poppa Smokers received 180’s in chicken. 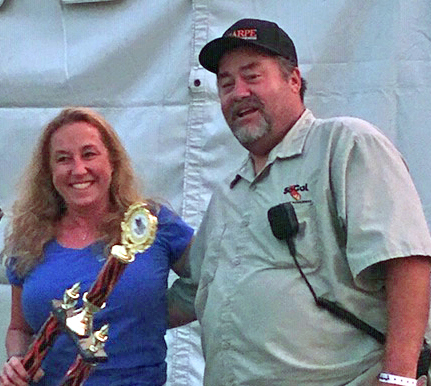 Championship with a score of 700.5256 and Gettin’ Basted took Reserve. This time Burnin and Lootin and Bad Boyz BBQ had 180’s in chicken. 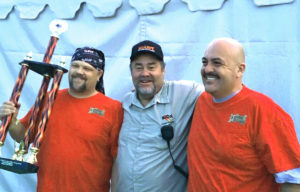 Arizona team Shig Ninja BBQ scored a 180 in pork. 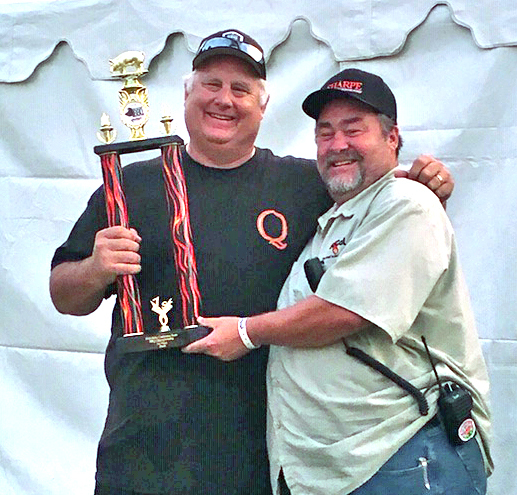 Championship and Festival Day one and day two 1st place dessert with back to back perfect-perfect 180’s; Blue Eyed BBQ. is already word that this might just happen all again in 2019. Fore!! !